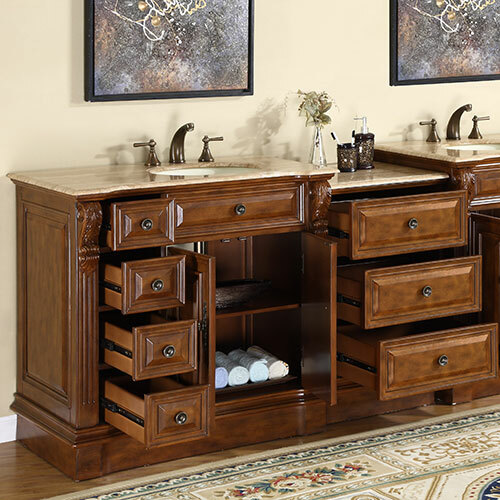 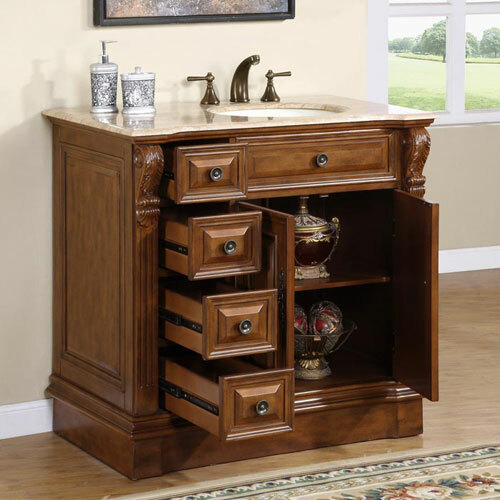 The Soprana Single Bath Vanity is a handsome addition with a traditional look that never goes out of style. 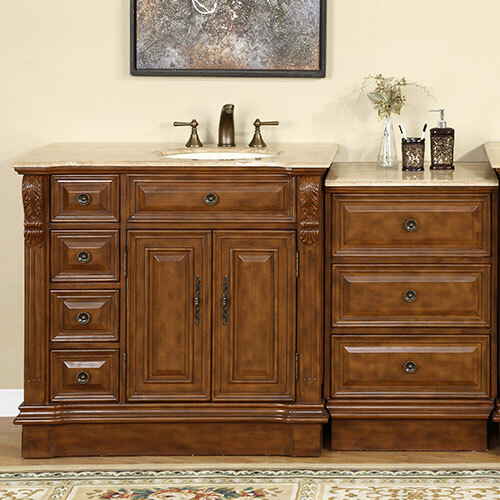 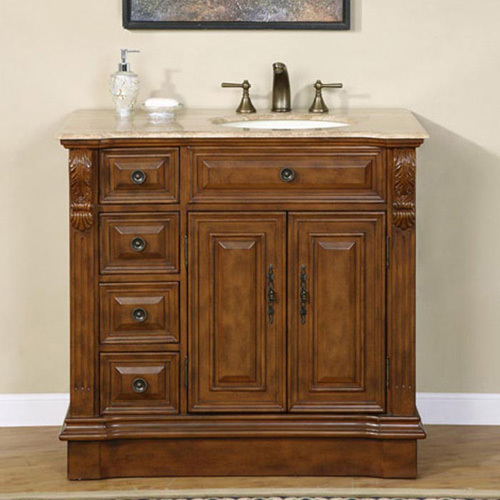 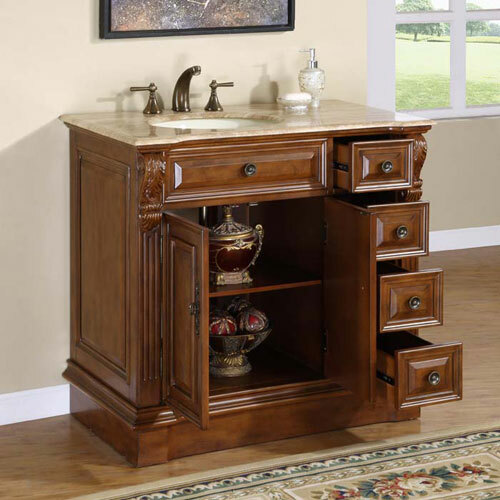 This single vanity is hand crafted with intricate beveled details and hand painted for its rich finish. 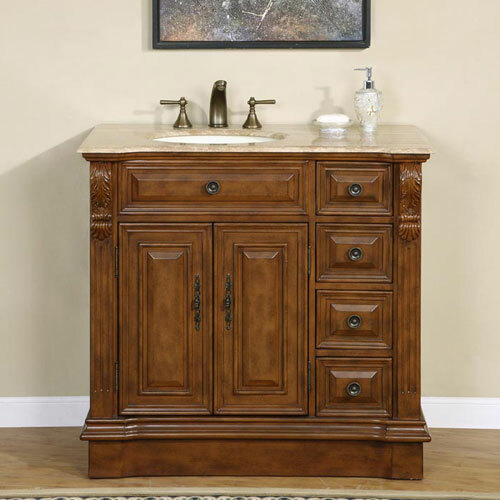 The Roman Vein-cut Travertine is pre-drilled for easy faucet installation and includes an ivory ceramic undermount sink. 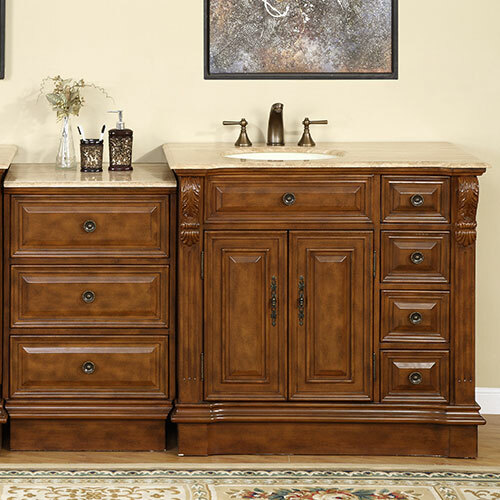 Four drawers and a double door cabinet provide storage. 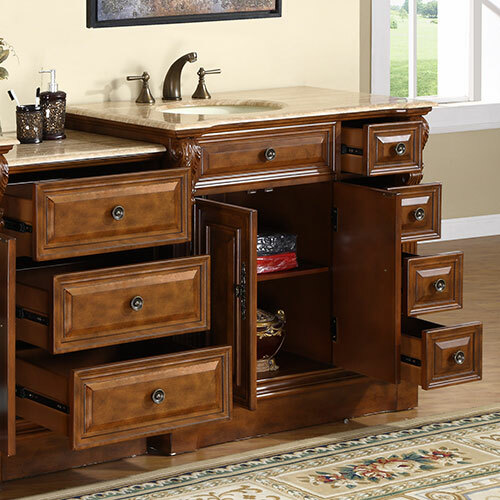 In addition, an optional drawer bank provides three drawers and more countertop space.